Physical Therapist jobs are projected to grow 25% between 2016 to 2026 according to the Bureau of Labor and Statistics. In 2016, the number of Physical Therapist jobs totaled 239,000. But that number is growing, and it’s growing at a rate of about 4% as PT schools pump out nearly 10,000 graduates each year. According to CAPTE, new PT graduates are expected to reach record highs of 10,600+ in 2018. This number continues to trend upward. 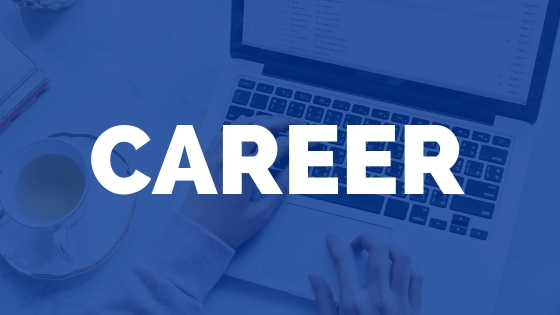 With an average 10,000 new Physical Therapists graduating from PT programs across the country each year, the PT job market becomes a little more competitive each year. Demand for Physical Therapists is Increasing, Great. Is It Enough? There’s no doubt that the population is getting older, and over 10,000 baby boomers are retiring every day. That’s a lot of potential business for those in Physical Therapy. With the aging population, there’s no question that we can expect to see an upswing in procedures such as total knee replacements and rotator cuff repairs. Not to mention the need for rehab professionals who specialize in helping patients who suffer from a stroke. But Will the Supply of PTs Exceed the Demand? 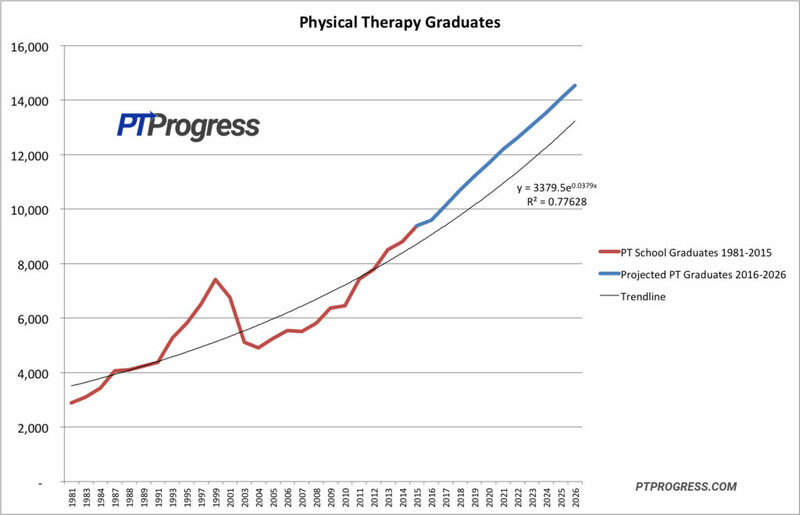 In 1981, there were 2,888 graduates entering the field of Physical therapy. 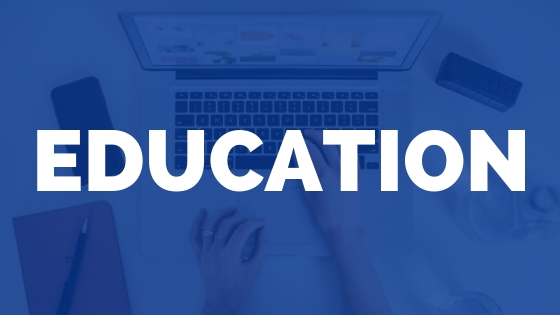 In 2015 that number has more than tripled to 9,389 graduates. Are we really pumping out that many more Physical Therapists? If there are 233,000 PTs now, how many will there be in 10 years? I decided to run a few numbers based on some data I found on the CAPTE website. As you can see, the number of PT graduates projected to graduate in 2026 is estimated to reach 14,500 students. That’s a 54% increase in graduates compared to what we saw in 2015. When we add up the projected graduates from 2016 to 2026, the total graduates for this period is equal to 133,354 NEW Physical Therapists. Add these new grads to the existing number of Physical Therapists (239,000) and you’ll have a 44% increase in the number of practicing Physical Therapists in the next 10 years. I’m estimating there to be over 330,000 practicing Physical Therapists by 2026. But What About Retiring Physical Therapists? What about all the PTs who are retiring in the next 10 years? Will the numbers balance out? Great question! Ok, let’s reference the data we have for PTs. For some reason CAPTE doesn’t chart all the years consecutively from 1981- 2001, so we’ll use what we have. From 1981 to 1991, there were an average of 3,700 PT graduates per year, or 37,000 total PTs entering the workforce. Let’s assume these PTs will work 40 years and retire. So from 2021 to 2031, we might see 37,000 of these PTs retire, right? In just half that time (2021-2016), our estimates predicts an additional 80,000 graduates entering the workforce. The number of new graduates greatly overshadows the rate of retiring Physical Therapists. 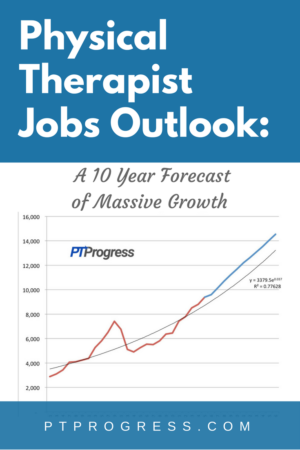 Even with predictions of 25% growth for Physical Therapists, the job market may be very competitive considering the estimated 40% to 50% increase in Physical Therapy graduates over the next 10 years. 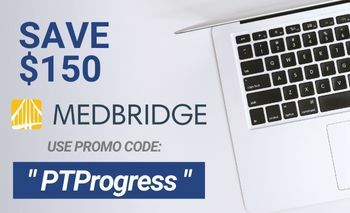 With this massive change coming to the Physical Therapy landscape, it’s more important than ever to set yourself apart from the sea of therapists. 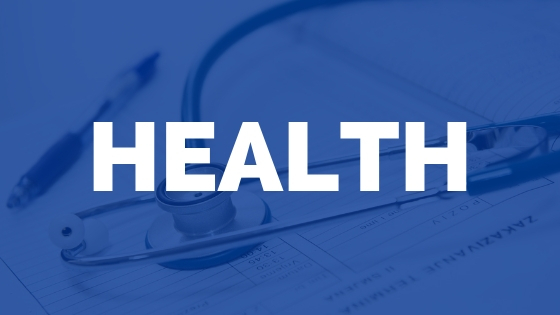 Yes, there will still be a need for Physical Therapists to treat in the traditional sense. But I hope you can see the necessity for PTs to seriously consider expanding into other areas outside of the clinic. We’ll explore these areas in future posts.